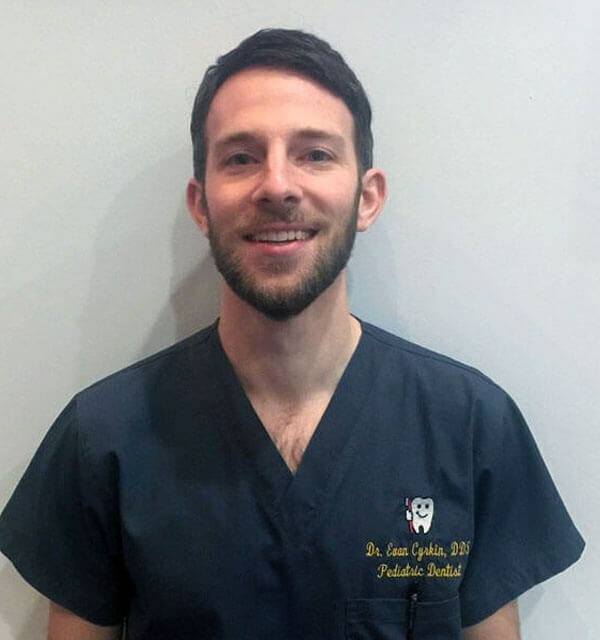 Dr. Evan works in our Huntington Station location and is a graduate of the University at Buffalo School of Dental Medicine. He went on to complete a General Practice Residency in Philadelphia at the Albert Einstein Medical Center, developing competencies in trauma management, oral surgery, and pediatrics. Dr. Evan completed his pediatric specialty residency training at Columbia University, gaining profound experience in managing infants, children, and adolescents of all medical and behavioral needs. His focus is on providing a positive experience for all of his patients and is a Diplomate, American Board of Pediatric Dentistry. Dr. Evan regularly volunteers on domestic and international outreach trips, and teaches at other area pediatric dental programs. He is a current member of the American Academy of Pediatric Dentistry and the American Dental Association, resides with his wife in the West Village, and would some day like to be the proud parents of two children and two Siamese-Himalaya cats.